Lisa and I have always been there for each other. We support and encourage each other’s successes, pick each other up when we fall and send one another texts comprised entirely of strings of emojis that somehow capture exactly what we’re trying to say. Lisa’s who I call when I’m not sure of the answer to the million dollar question, or when I’m just out of dinner ideas. When we first created Wise Women Canada, our goal was to create a macrocosm of our friendship – a community of women who would support one another, celebrate each other’s achievements and have each other’s backs – through sharing the stories that makes us human. We wanted to open our arms and our blog to those stories. At the end of the day, we have so much to learn from one another. And we’re never alone, even when it might feel that way. We were so excited when we got the opportunity to take our message further with our Sunday night show on CJAD radio, and now we’re taking the next step. Together with Erica Diamond, certified life coach and founder of the women’s lifestyle blog, Women on the Fence, we’ve assembled a group of some of Canada’s most inspirational and captivating women to bring their stories to a live audience. On April 7th, 2017, we’re thrilled to be bringing Off the Fence and WISE, a women’s wellness and growth conference, to the Ruby Foo’s hotel in Montreal. Lisa and I will be speaking alongside an incredible lineup of women – and we’d love to see you there. It’s going to be a life-changing day, filled with shared experiences, amazing stories, and tools and tips that you’ll be able to use in your own life, for years to come. We’re also proud to be partnering with Dress For Success Montreal, an amazing organization whose mission is to empower women to achieve economic independence by providing a network of support, professional attire and the development tools to help women thrive in work and in life. 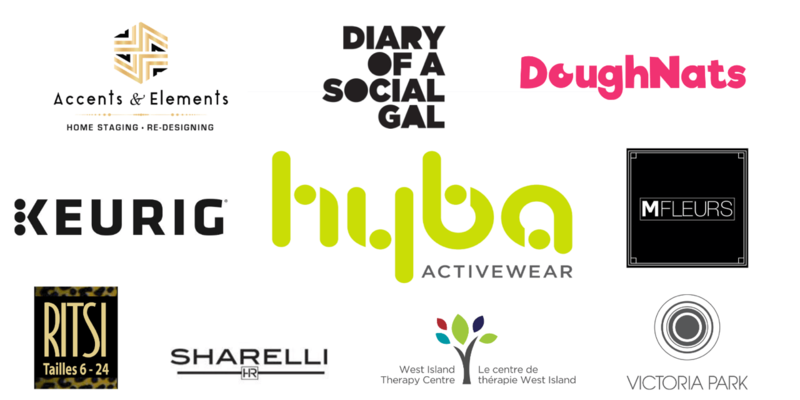 Hyba Activewear, Accents and Elements, Diary of a Social Gal, DoughNats, Keurig, MFleurs, Ritsi, Sharelli, Victoria Park and West Island Therapy Centre. Give them some love by checking out their websites and supporting local businesses! Click here for ticket information. Don’t forget to enter promo code BUDDYPASS for 20% off the purchase of 2-4 tickets. For 5 or more tickets, you’re entitled to our CORPORATE EMPOWERMENT PASS of 25% off (no code necessary). We can’t wait to spend the day with you!